In previous post, implemented the Selection Sort in Java. 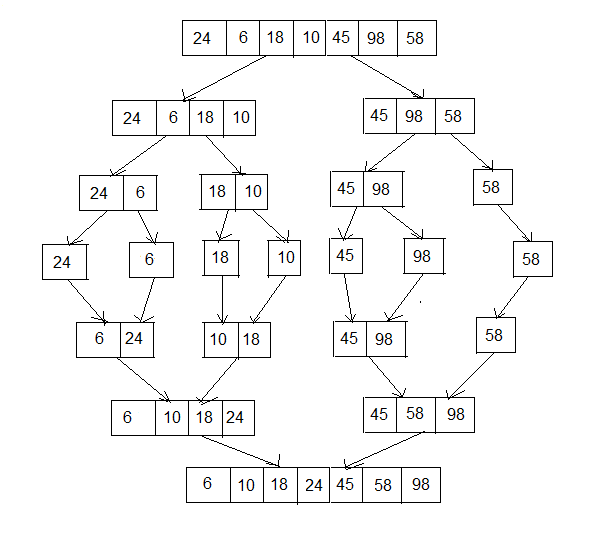 In this post, we can implement the merge sort and also discuss the time complexity. Merge Sort is a fast, recursive, stable sort algorithm which works by the divide and conquer principle. The algorithm has a complexity of O(n log (n)). Merge Sort is similar to Quick Sort(Will implement in the next post) the list of elements which should be sorted is divided into two lists. These lists are sorted independently and then combined. During the combination of the lists the elements are inserted (or merged) on the correct place in the list. Divide the array into two (or more) sub arrays. Sort each sub array (Conquer).